Vehicle-to-business technology provider In-Car Cleverness are launching an intuitive smartphone app to complement their onboard telematics device for company car and van fleets. The app delivers new location-based services ‘Nearest Fuel’ and ‘Local Parking’ for the driver, with both ranked by distance from current position, as well as cost. 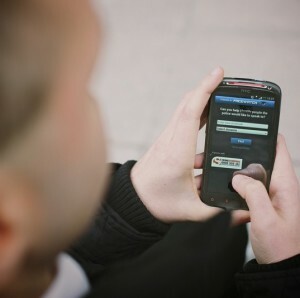 ‘Journey Logger’ allows the driver to allocate each trip to either business or personal usage remotely, with data automatically fed into the central administrative function – allowing for accurate and time-saving HMRC compliance. In mirroring the online dashboard, drivers will also have visibility of their driving style, vehicle health check monitoring and speeding events. Developers at In-Car Cleverness claim they will continue to add new features to the user experience in the coming months. The first of these will be improved analysis of driving risk, which will overlay driving behaviours with road ratings. Initially launched on Apple (iOS7), an Android version of the app is due for release later in the year.